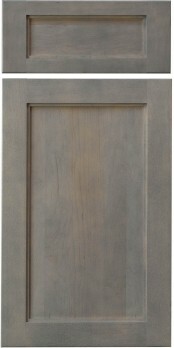 Conestoga’s Crawford door is a spin-off of their popular Savannah door, only the flat area in the framing bead is much narrower. This door is suggested over the Savannah when painting as the seam where the two framing pieces come together is much less pronounced. The Crawford is a great door to consider when you are seeking a clean-lined design with a little more detail than a traditional shaker design.